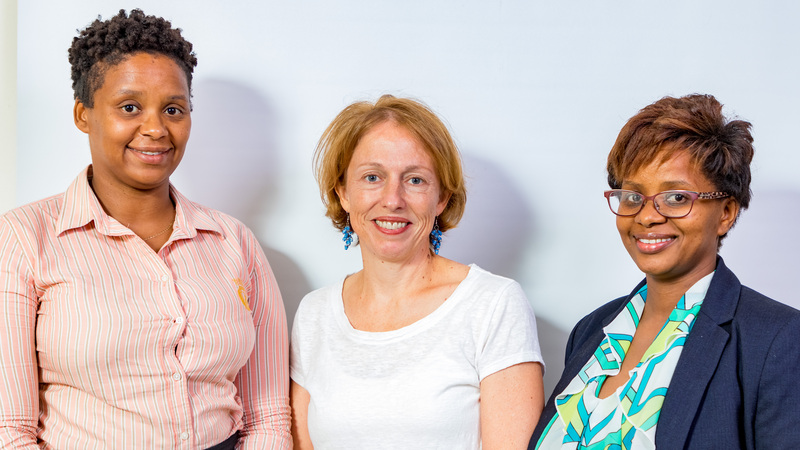 The Centre for Environmental Rights appointed Kuhumelela, a 100% black and woman-owned chartered accountant and auditing firm, as our auditors in May 2018. The rotation of our auditors after 7 years was in line with the Centre and its board of directors’ adherence to principles of good corporate governance. Our appointment of Kuhumelela also reflects our commitment to promoting diversity and transformation. Kuhumelela was started in May 2010 by two sisters, Althea Dlamini and Susan Lapoorta, with the intent to assist with the transformation of the accounting industry. Today it is a national organisation with offices in Cape Town, KwaZulu-Natal and Gauteng. Susan Lapoorta (left) and Althea Dlamini (right) of Kuhumelela auditing firm with CER Executive Director Melissa Fourie (centre).